From the earliest times parishes would have had facilities to care for the sick and infirm elderly poor but this would have been provided in an ad hoc fashion as need arose. 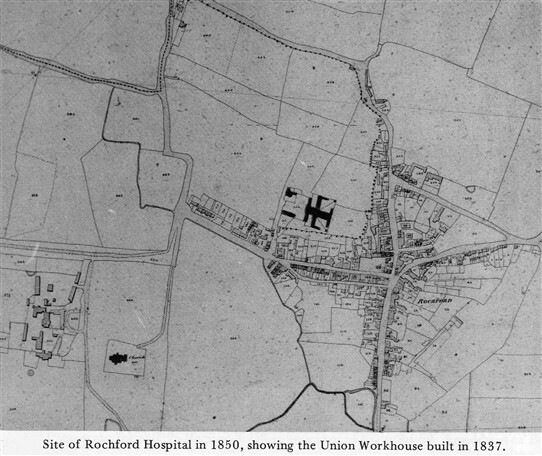 The plans for the Union Workhouse included an infirmary but in 1857, some twenty years after the opening of the Rochford Union Workhouse, the Guardians agreed to build a new hospital on the site at a cost of £2,777. It was decided “to abandon the idea of warming the Infirmary with hot water.” Presumably to cut costs. In 1858 the new building was completed and the old infirmery was sold. The number of beds soon proved insufficient and the workhouse chapel had to be used as a female ward. In addition the Guardians agreed to erect a Nurses' Home and Babies' Home at a cost of £4,203. All through 1912 various tenders were received for further extensions to be built on three acres of land bought the previous year to the west of the workhouse for £400. The outbreak of war in 1914 meant some of the hospital facilities had to be handed over to the military authorities. In addition there was an increased demand for treatment for tuberculosis patients which led to some beds also being made available in Southend. After the war the Ministry of Health demanded better provision for sick patients. This led to further plans for extensions and improvements, this time including an X-ray room. The Guardians were given permission to borrow £20,692 for the necessary work. The extensions were formally opened in 1926 and a further five acres of land belonging to Mrs Sparrow, known as “Potash Meadow”, north of the Infirmary, was bought for £1,500. This time, the new building consisted of facilities which would be recognised today including surgical and medical blocks, an operating theatre and childrens' hospital. By now there was a ratio of one nurse to every five patients and a new Nurses' Home was built. 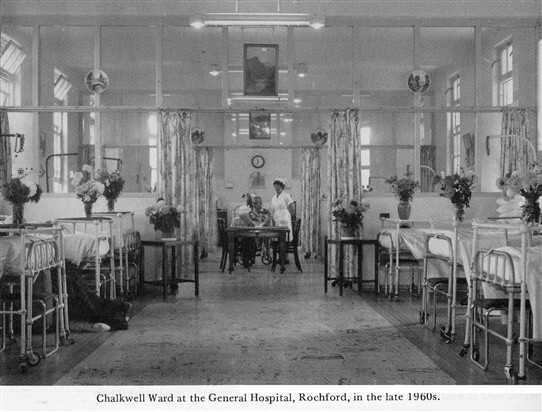 In 1927, Rochford Hospital contained 330 beds and cots. The hospital had been managed by a Board of Guardians and financed from rates and by voluntary contributions which were often very generous. An Act of Parliament in 1929 passed the management of the hospital to Southend-on-Sea County Borough Council. It would now be paid for entirely from the rates. In 1934 plans for new hospital buildings were agreed at a cost of £234,080 for the first instalment. The next stage of building was completed in 1940 before the full effects of the Second World War were felt. It was not until two years after the end of the war that the full plan was finished. 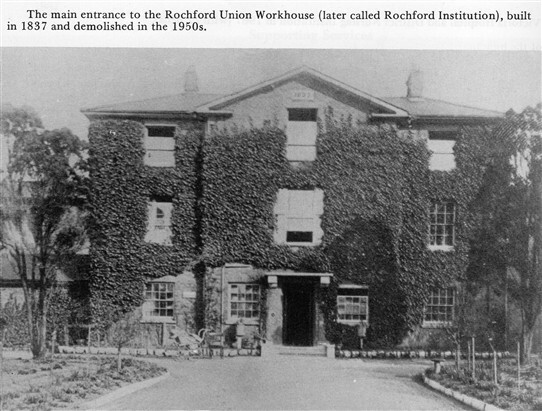 Rochford became the only maternity unit and special care baby unit in the area and an important training hospital for midwives; it was to remain so for over 40 years. In 1985 another extension was planned. 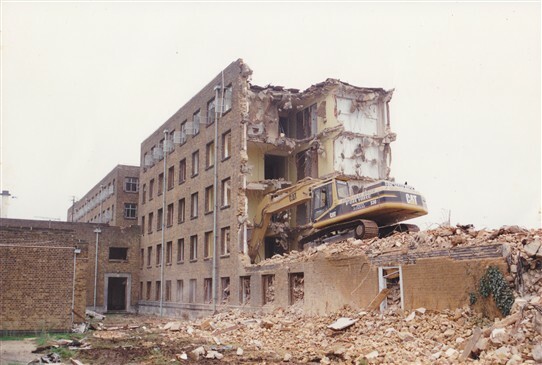 However, the improvements were cancelled before they were begun because by the early 1990s the decision had been made to demolish the Rochford hospital and pass all the patients to a modernised and extended hospital at Southend-on-Sea. This caused a public outcry and a petition was set up to try to fight the proposals. 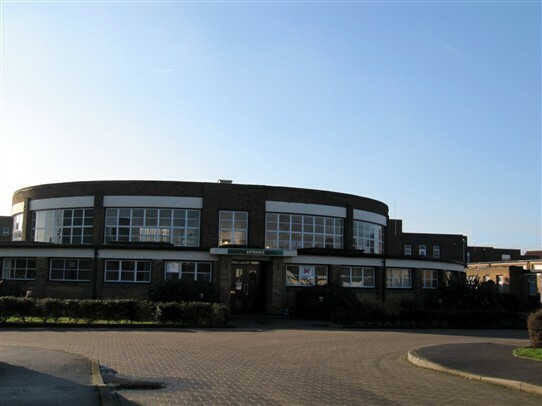 In the end it was agreed that some of the buildings would be listed as being outstanding examples of architecture from the 1920s to 1940s but the closure of Rochford hospital went ahead. Many of the buildings, including the enormous Nurses' accommodation were destroyed and the land sold for development. 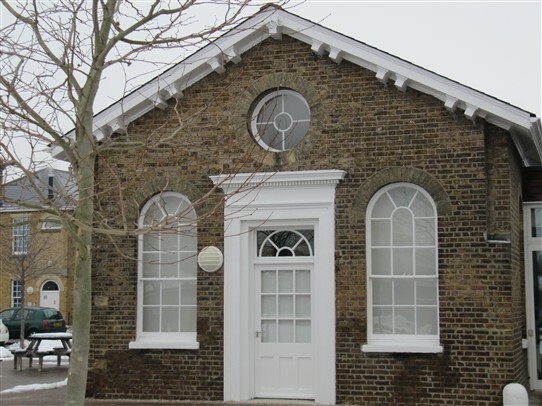 Many of the Grade II listed buildings became private or sheltered homes but the kitchens still provide meals and part of the hospital, now known as St Luke's, is used for mental health purposes and a day care centre for elderly people. 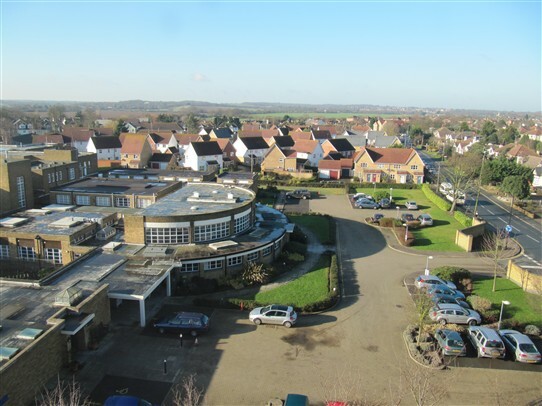 The convenience of a local hospital is much lamented by older residents and the old Rochford Hospital is remembered with affection by many in the area, not least because nearly all of them were born there. Bibliography: The Hospitals of Southend, Malcolm Jefferies and J. Alfred Lee. Published by Phillimore, 1986. Black and white photos copied from this book. This page was added by Sue Horncastle on 08/06/2015. I found your interview with Mrs Locke interesting. I worked as a nurse at Rochford Hospital in 1955. I hope you're doing well. I am trying to track down the Estate of Sister Jean Ward who was a nurse at Rochford General Hospital in the 1950s. Can anyone assist me? Many thanks. We do not keep any such records but possibly one of our readers has the information. If so, and they see this post, they should add to this thread or drop me an email. My wife and I started our medical career as house doctors in January 1967 at Rochford Hospital. We lived in a bungalow on Ashingdon Road with the back door leading into the hospital grounds which you can just pick out in your aerial view of Rochford beyond the tennis courts(?) to the left of the nurses home (though in our time some of the rooms were accommodation for doctors). Because my wife and I had the same initials, the switch board knew us as Doctor John and Doctor Jenny! 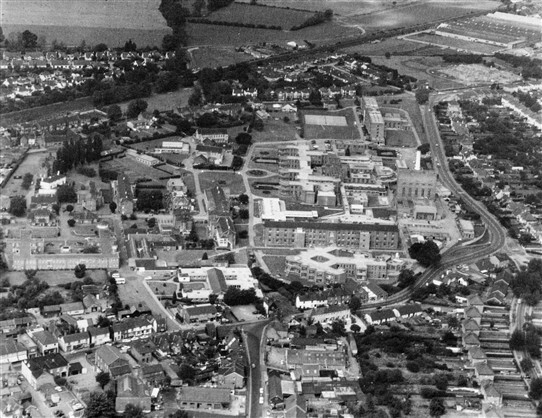 I stayed working at Rochford until early 1971, while my wife worked in general practice. We bought our first house in 1969 at Rutland Gardens which I could pick out in the 1971 map on page 107. Our first two children were born in the Maternity unit in the Hospital, which seemed to have the same staffing shortages as Maternity units have now. We left Rochford in late 1971, unfortunately never to return. We always planned a trip when we had retired but with the closure of the hospital we lost the initiative. This interesting comment from John Moon was passed to us by Mave Sipple. Bob Stephen (RDCA-Admin). My name is Corrine Sartin, I am desperate for some help. On the 16th May this year (2017) my little brother who was 25 years old passed away in Alicante, Spain at 00.15am (Spanish time) 01.15am our time. He passed away instantly from a Pulmonary Embolism. I packed his holdall bag less than 24 hours before this happened. He was my very best friend, only two years younger than myself. He was born on Saturday 8th February 1992 at Rochford Hospital, he weighed 6lb 7oz and was registered as William Connor Sartin. (Mother- Deborah Wendy Sartin and Father- William Keith Sartin) My mother and I, are trying to remember every piece of his past, starting with his Midwife. The first lady to ever hold my brother. We do not necessarily wish to contact the midwife, but we'd like to find out her name. We've trawled the internet to no avail, and was hoping you could possibly help us out , by either pointing us in the right direction or even putting us into contact with the midwife. Many thanks in advance. Hi , I’m trying to locate Keith Williams who was an ODA at Rochford hospital in the 1980s and was later senior ODA at Basildon hospital. I need speak with him regarding an important matter and am sure he’d wish to hear from me. If anyone can help please do. (ODA, Operating Department Assistant). We don't have an original of the Chalkwell ward photo - just the image from the book. However, I've been able to scan the image again so that it looks better and have also enlarged the nurse and patient. If the nurse is your mum you should be able to recognise her. I've emailed both images to you. Both my grandmother and mother passed away in Rochford Hospital. My grandmother spent her last months on a geriatic ward and was 96 when she died. Both my oldest children (twins) were born there in 1966. When they were due I remember taking my wife to the main entrance, what is now St Lukes, and being told to leave her there and ring up in the morning to see if there was any news. Expectant fathers obviously were not welcome on the maternity ward in those days! The hospital also had facilities for private patients in those days as I remember visiting a friend who had gone in privately for a cartilage operation and had a private room. On visiting, a nurse came in with a tray of tea and biscuits. In the 80s they used to hold a Christmas pantomime. All the cast were members of staff from Rochford and Southend hospitals. Although amateurs, the standards of the performances were extremely high and very entertaining. Hi Len - Bob (our webmaster) will see what he can do about the photo. You will see that it comes from the book by Jefferies and Lee which is credited at the end of the article. I have read your article and see there is a photo of Chalkwell ward with a nurse in the background. Well, my mother was a nurse on Chalkwell ward back in that era and, to be honest, I think it is her in the picture. Is there an original that I might be able to get a copy from, please?